While I will be partaking in zero Easterly activities this weekend, I will be postponing them to next weekend. I think it is very mean to have an exam a few days after Easter, no? Last week, I came home with 15 lemons. Actually, that is not unusual for me. What was unusual was that they were not just any lemons: they were Meyer lemons. These lemons are more sweet, less tart than regular lemons. So much so that I could easily eat a raw Meyer lemon. Just don’t ask me how I know… Last year, I tracked them down at Whole Foods but didn’t search them out this year. I thought I had missed their season. But there they were at my local ethnic grocer. 🙂 The lemons were a bit on the tiny side but considering all 15 were for $2, this was an amazing bargain. Even if I had no plans for the lemons… yet. Undeterred by my recent dessert flops experiments (more on that in a later post), I decided to work with Katie’s recipe for Lemon Squares. 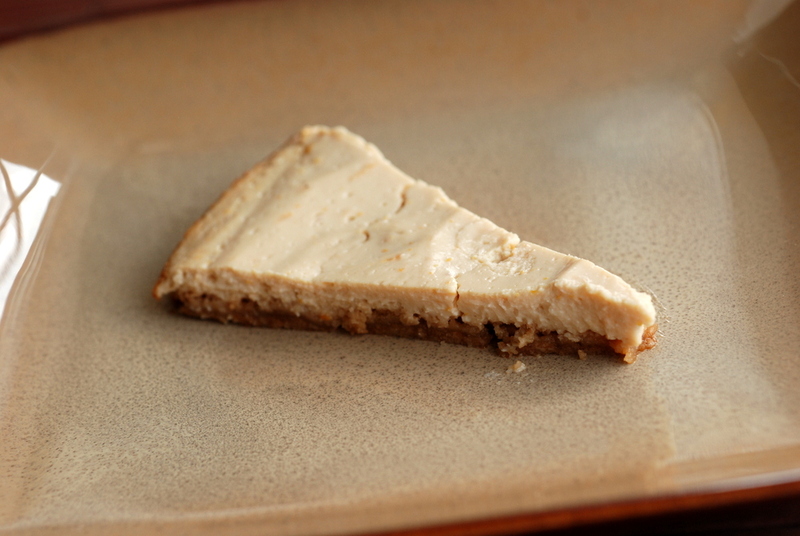 I’ve had a baked tofu cheesecake on my recipe to-do list for a while. However, I usually get distracted by other dessert options. Instead of flour, I used ground almonds. 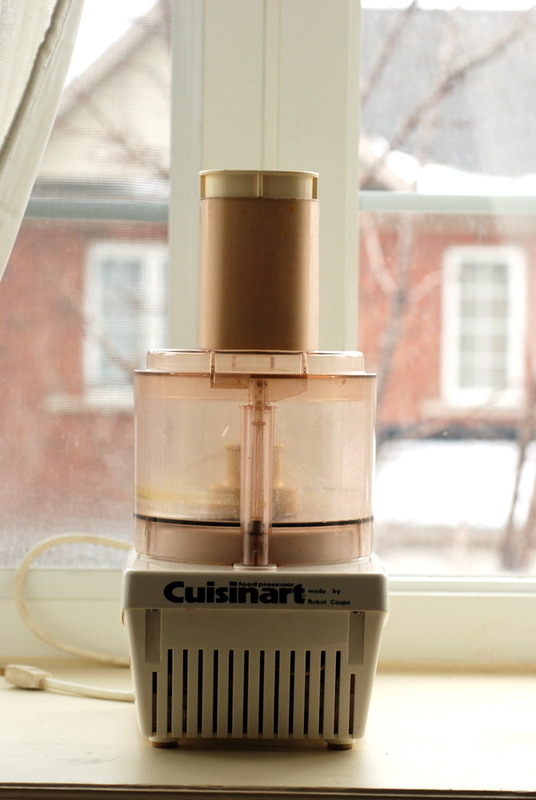 I also made my own powdered sugar by grinding coconut sugar in my Vitamix (how cool was that!). Since I was using Meyer lemons, I tasted as I went along. Not as much sweetener was needed. I increased the filling, with all intentions of baking it in a small casserole dish but at the last minute, plopped it into a large springform pan. I figured it would be easier to remove unscathed. Turns out the joke was on me, because the larger surface area meant these were very short. Not what I was aiming for.. I also didn’t add any yellowing ingredients like turmeric, so they weren’t the characteristic fluorescent yellow of lemon squares. And I also cut them like pie slices, not squares… In retrospect, it was destiny. 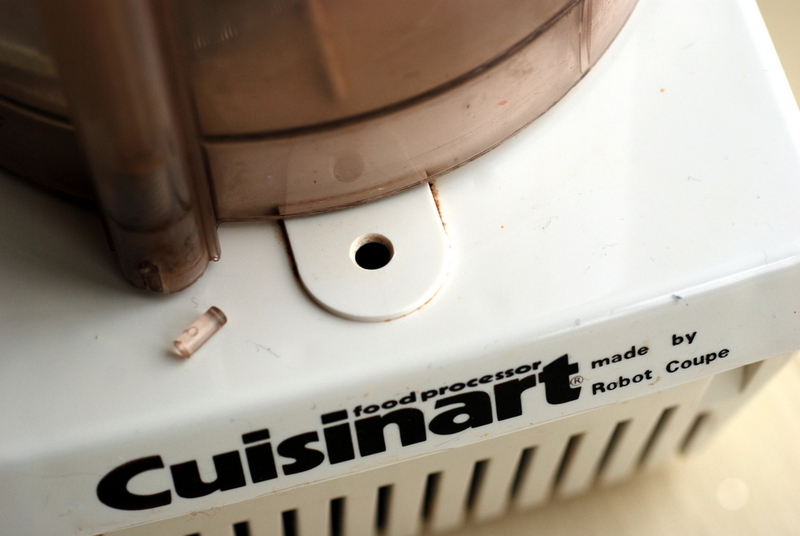 After I baked them, they still needed to be chilled overnight and then I tasted them…. 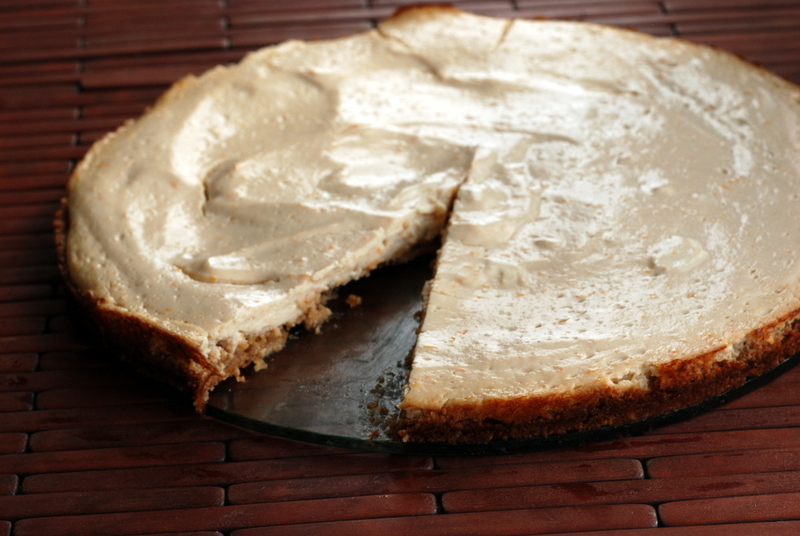 duh duh duh… I made a Meyer lemon tofu cheesecake! It looks rather pitiful, but I can assure you it tasted great. Not a true cheesecake, but more cheesecake than lemon square, me thinks. Very lemony, to my liking, although it was balanced by the sweetness of the crust. It was kind of fun to have a lot of crust for a little amount of filling, although next time, I would certainly double the filling, or use a smaller contraption to bake it (I kind of like Amber’s method here of lining it with parchment paper and then slipping the whole thing out afterwards). This is my submission to this month’s Bookmarked Recipes, to this month’s Healthy Me & Healthy Us event and to Easy Easter Baking . Another batch of lost photos. Although the “lost” photos from that previous post were found (!! ), months after I repeated the recipe (HA!). This time, I am not sure where the photos went, but I have an ample substitute. One of my favourite vegetables this winter (if you could not guess) were Brussels sprouts. I roasted them, roasted them, and roasted them again. I added them to soups, stirfries and skillets. Recently had a hankering for a creamy, balsamic dressing. Something tangy, something sweet but creamy, too. Then I remembered I had already made such a thing: Tess’ Miso Healthy Dressing. 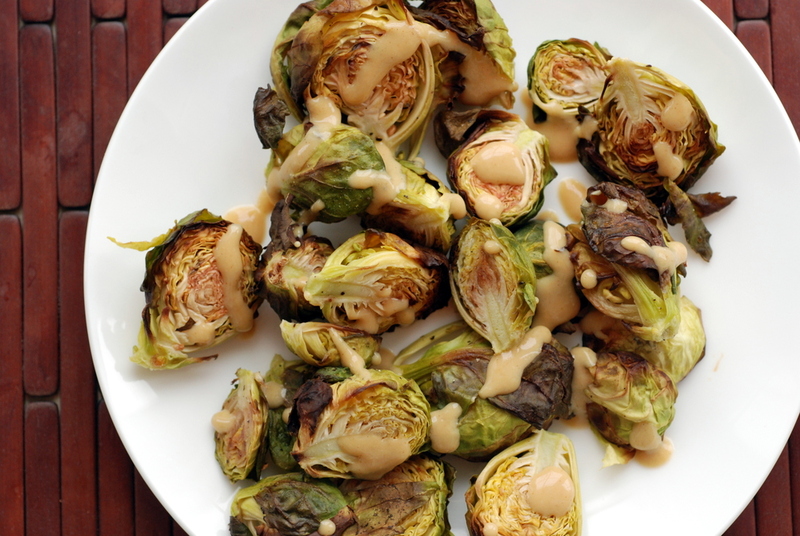 When I went looking for my photos of my creamy balsamic miso dressing, I looked at my notes from the recipe: tossed with brown rice, roasted Brussels sprouts and white beans. 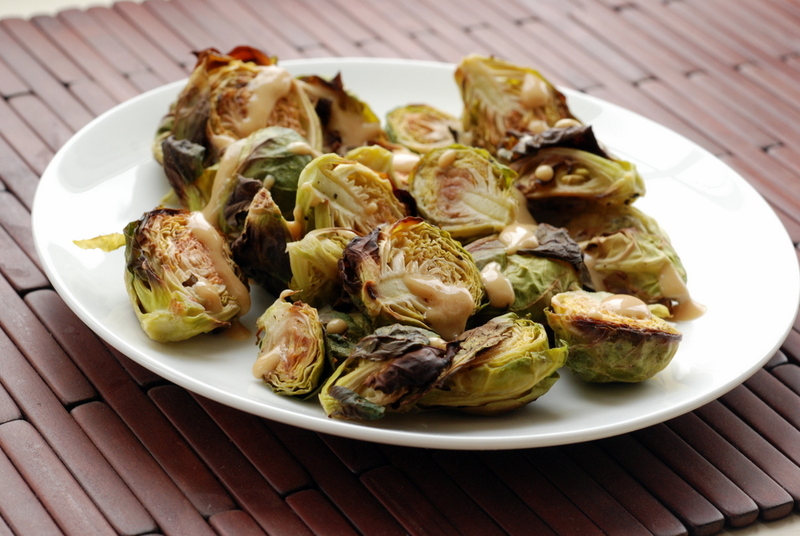 No photos to be found, but I did find photos of another creamy dressing with roasted Brussels sprouts. 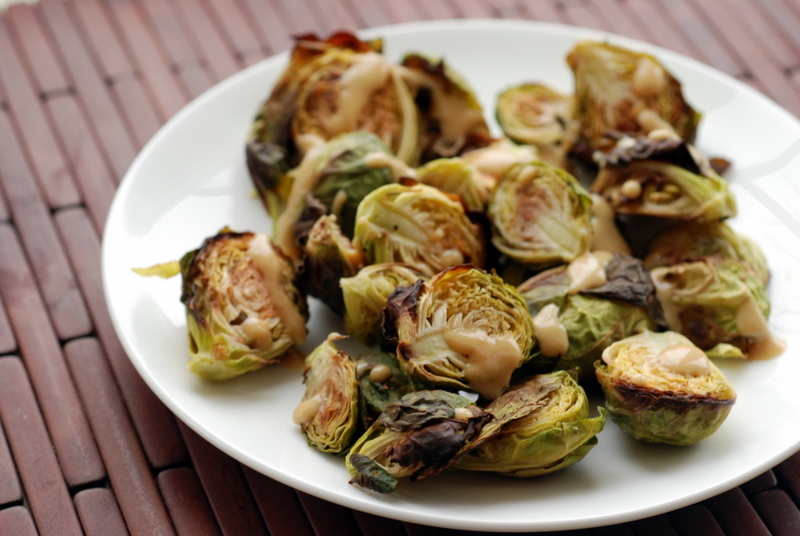 (Yes, there were lots of roasted Brussels sprouts around here). This is my submission to this week’s Weekend Herb Blogging, hosted by Haalo, and my dressing is submitted to this week’s Raw Food Thursday. Do you ever reminisce about the glory days? Back when I could juggle everything. Back when I didn’t have to crack down on studying? I never seem to have enough time these days. I can’t study the way I used to. It is harder now. I feel more liberated in the kitchen, though, with help from Rob and a wealth of favourite recipes. A choice of dressing and 1 or 2 other dishes makes my weekly cooking complete. While I have moved my herbs indoors over the winter (and most of them died, boo), I never really felt like I had enough thyme this summer, either. My grilled portobello mushrooms with garlic and thyme were a common sighting at barbecues and many of my dishes use thyme (lemon-kissed tomato barley risotto, tomato-pomegranate vinaigrette, etc). My piddly thyme plant was nearly always being scavenged. I thought I planned for success in the rosemary department, because I have 3 plants. But I never seem to have enough rosemary, either! One batch of Rosemary Pistachio Hummus, and my plants are wiped clean. A month later, I may try again. 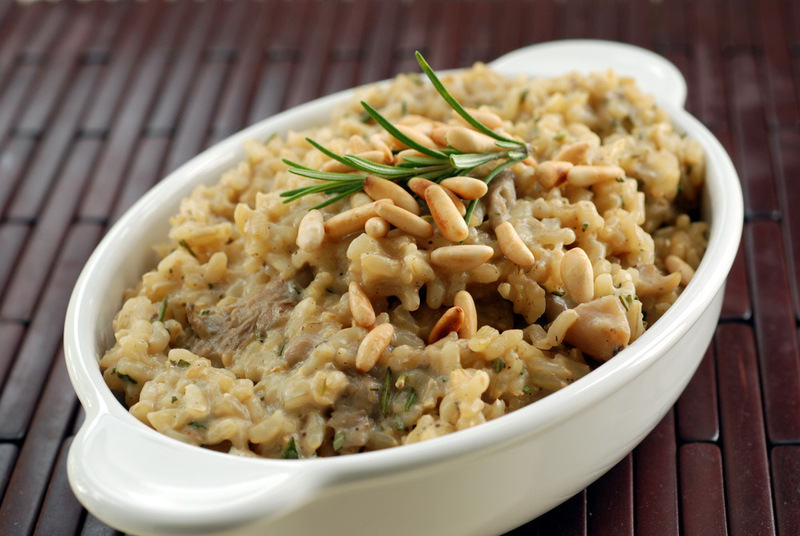 Thankfully this week, I had enough to make this rosemary mushroom risotto. Another great dish from Tess. 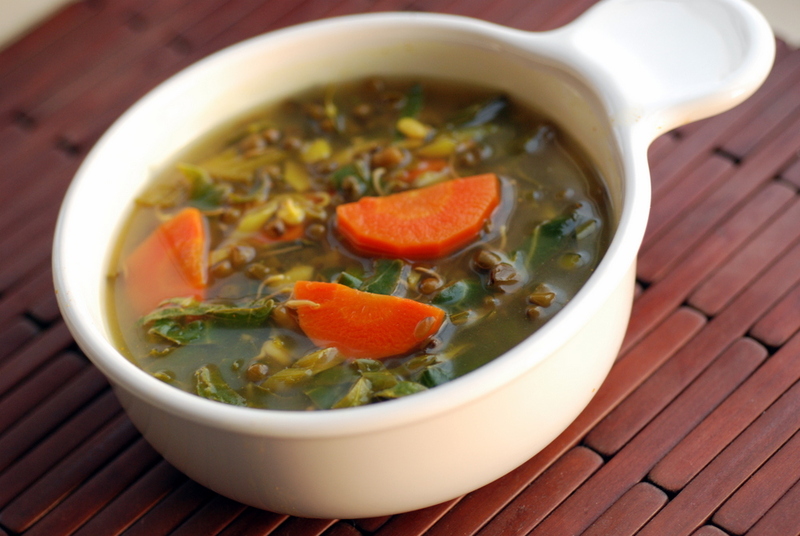 Cooking the rice in almond milk makes this creamy but using the seasoning makes this still taste like it was boiled in a flavourful vegetable broth. I didn’t feel like it needed more than 1 tbsp of oil, but Tess suggests adding more. This isn’t your typical risotto, as the rice still had a bit of bite (which I enjoyed for texture), but certainly a heck of a lot easier and a lot healthier without any cheese or butter. This is my submission to this month‘s Herbs on Saturday. Being known as a healthy eater has its drawbacks. My meals have now become suspicious. Suspicious for healthy ingredients. What have I hidden in the meal this time? Trust me, I cater to my audience. If baking for myself, I’d easily experiment with squash carob brownies, cauliflower chocolate cake, chocolate chip chickpea blondies or chocolate mint black bean cookies. 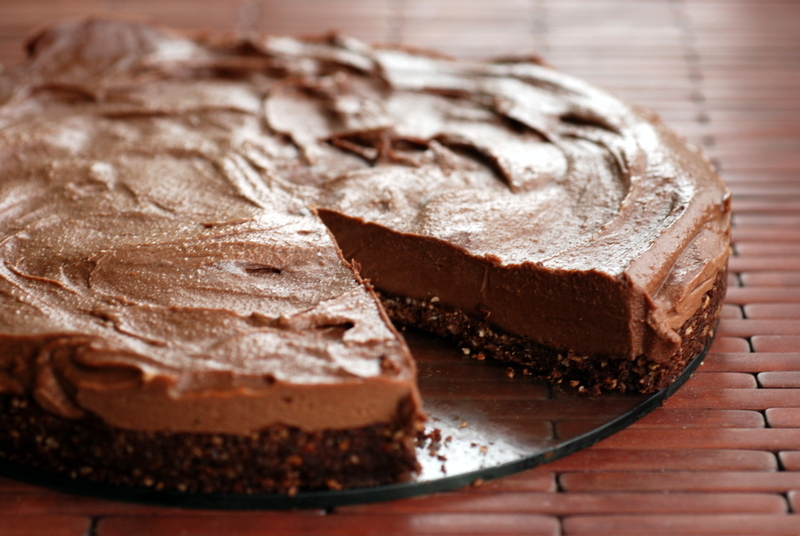 I have even gambled with (oh so good) chocolate tofu mousse pie with my family for Easter. But for the harshest critics, I go all out. Thus when Rob’s family came over for a birthday celebration and I offered to supply dessert, I had to determine my plan of attack. 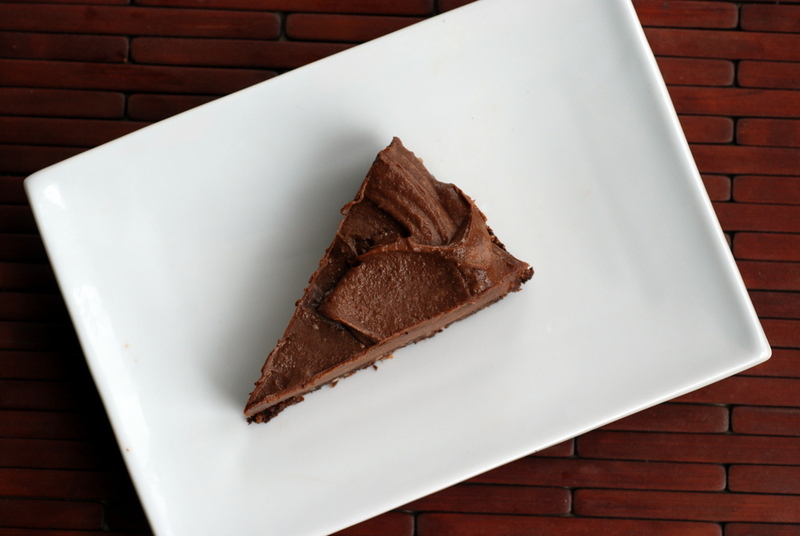 Almost Guiltless Chocolate Mousse Pie? I knew it was a winner, but I had no tofu. 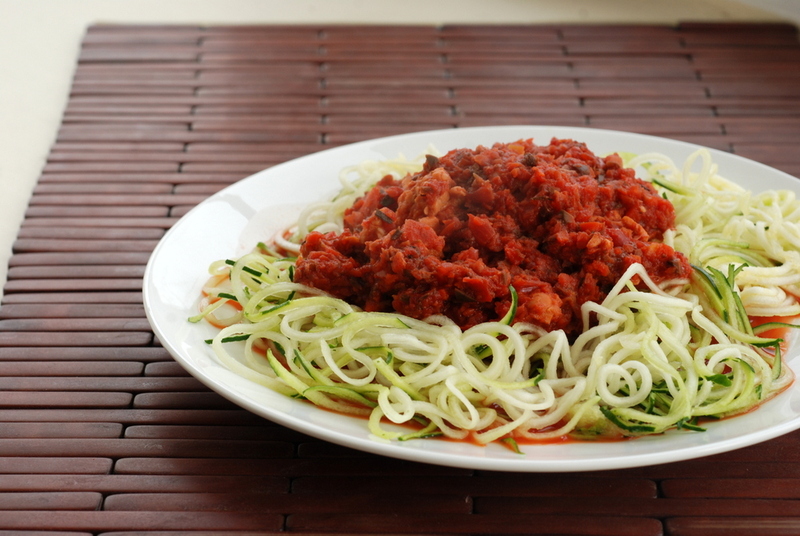 Experiment with a new recipe? I considered Terry’s Italian Cashewcotta Cheesecake or Ethiopian Chocolate Flourless Torte, but still had the issue of missing ingredients. Then I worked backwards. What do I have in my pantry? Coconut oil, nuts and cocoa powder. Cashews, walnuts, hazelnuts and almonds. Sounded delicious already. I peered around the corner of the cabinet and pulled out hazelnut butter. Eureka! 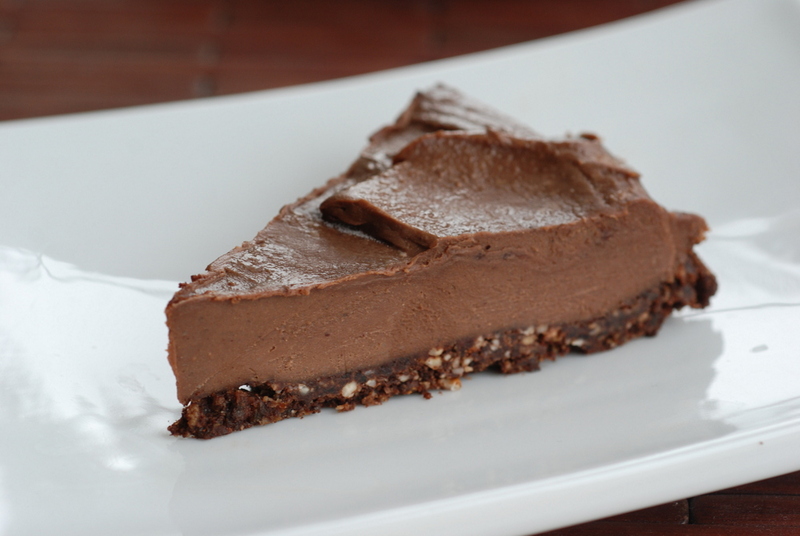 A raw chocolate hazelnut cheesecake. 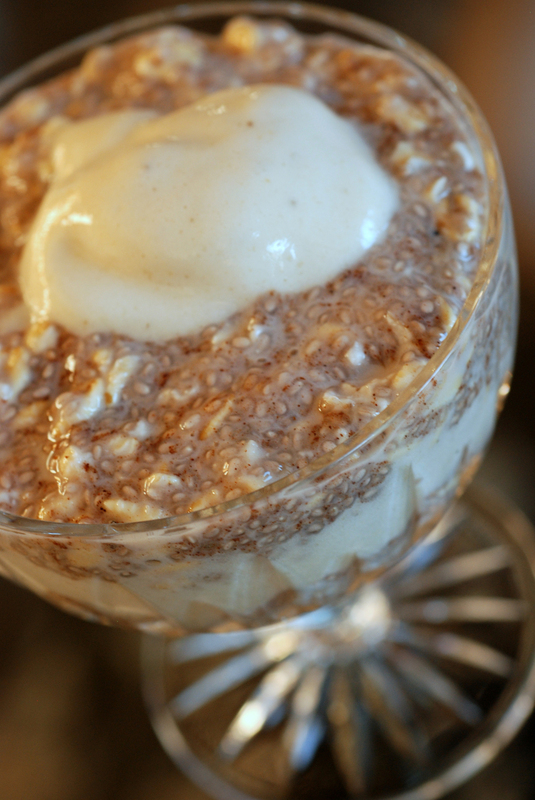 I like raw desserts because I can sample the batter and can easily gauge how it will turn out. Licking the batter from the blender, I knew this was going to be good. The next afternoon, I brought out the cheesecake to thaw. I cut a piece before everyone arrived. You know, for blogging photography purposes. But I sliced off a tiny sliver so I could do some tasting research, too. 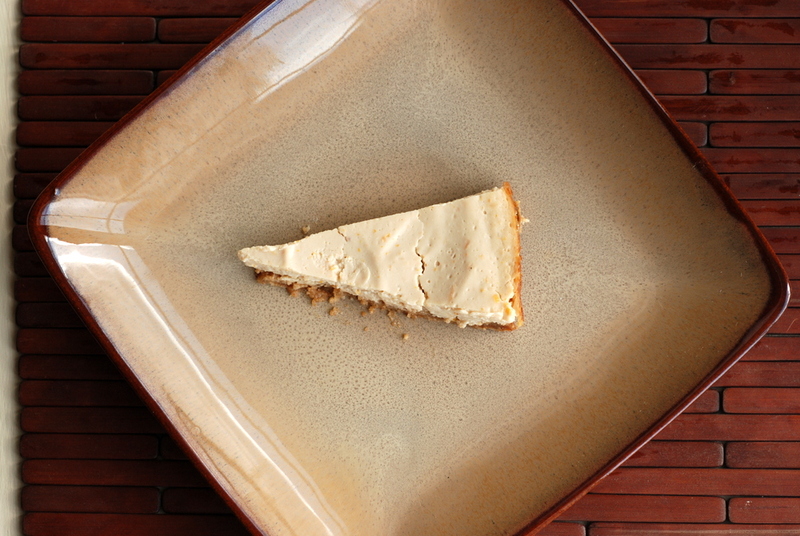 I know I said my last raw cheesecake was utterly sinful, but how can a key lime pie compete with a chocolate cheesecake? 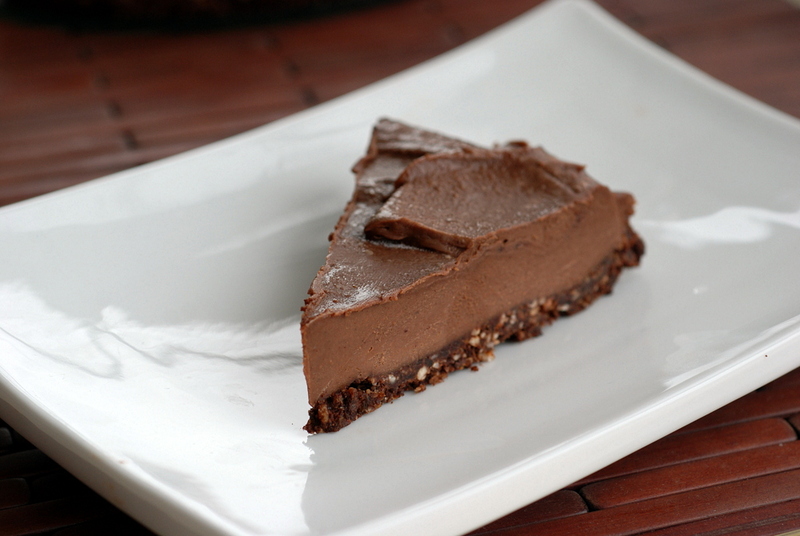 A chocolate hazelnut cheesecake? It can’t. This my friends, was pure cocoa bliss. 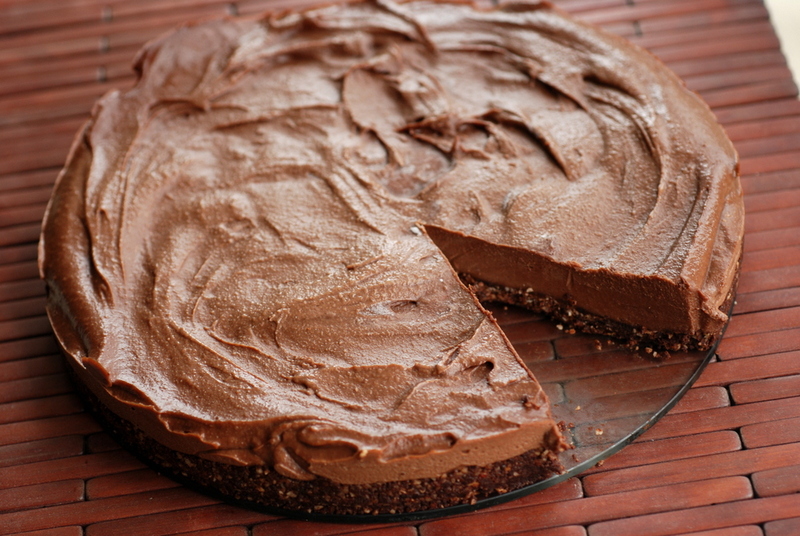 Better than Nutella filling in a cheesecake form, on a cocoa-hazelnut-date crust. Decadent but not too rich and not too sweet. Perfect. Trust me, I was very confident with this dessert. Thank goodness it was a resounding success. Definitely my best dessert yet. This is my submission to this month’s We Should Cocoa for fame, to this week’s Healthy Vegan Friday, to this week’s Weekend Wellness and to this week’s Raw Food Thursdays. I have been meaning to write a post about kale for a while. I had elaborate plans to create a green eating guide, but as I waited, procrastinated, let life happen, others posted great greenery cooking summaries. Lindsay recently posted videos on how to strip and cook kale. I also found this nice guide from Epicurious. I will not reinvent the wheel but I will continue to share my green eats. As I told my friends, be persistent. You may not like all greenery preparations right away. Instead of a raw kale salad, try kale chips. 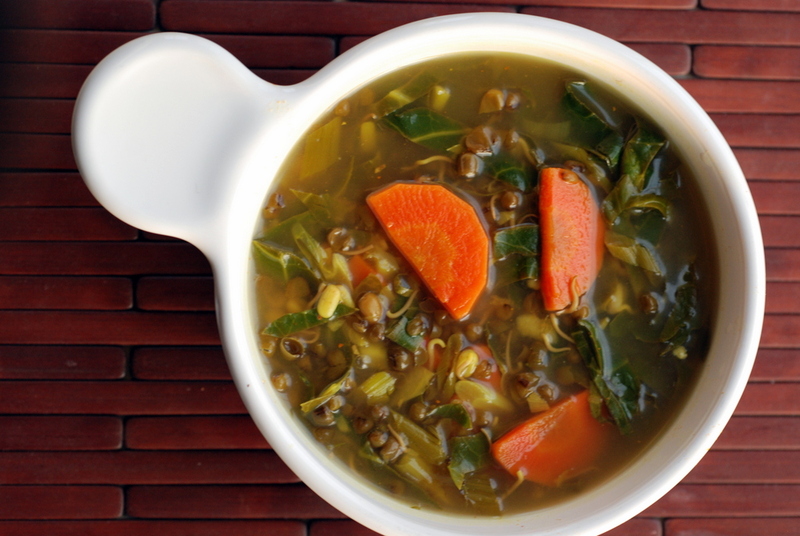 Add kale to your soups or stir fries, instead. Or hideblend it into a smoothie or baked good. Slowly integrate them into your diet until you find something you like. Here is a lengthy list of ideas for numerous greens. 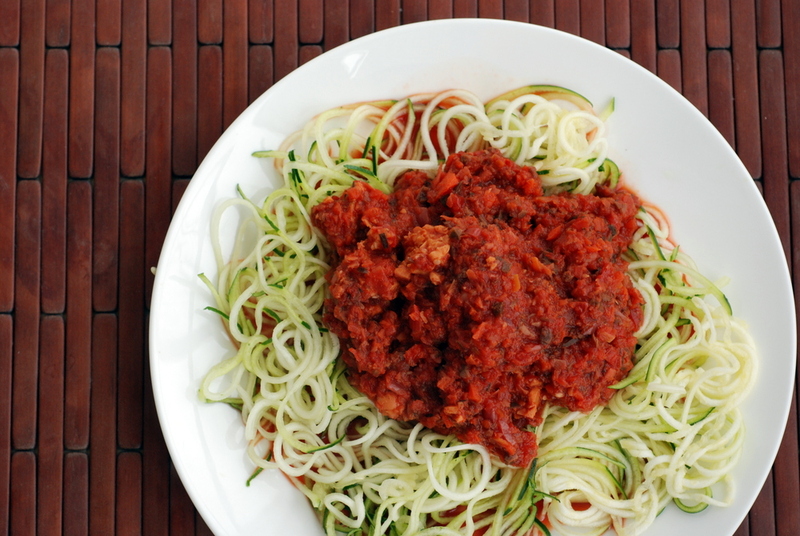 Raw, cooked, I’ve got you covered for your greens. Once I started, I just couldn’t keep away any of my favourites. I even limited myself to leafy greens. Cabbage and Brussels sprouts are for another list. The options with greens are endless. 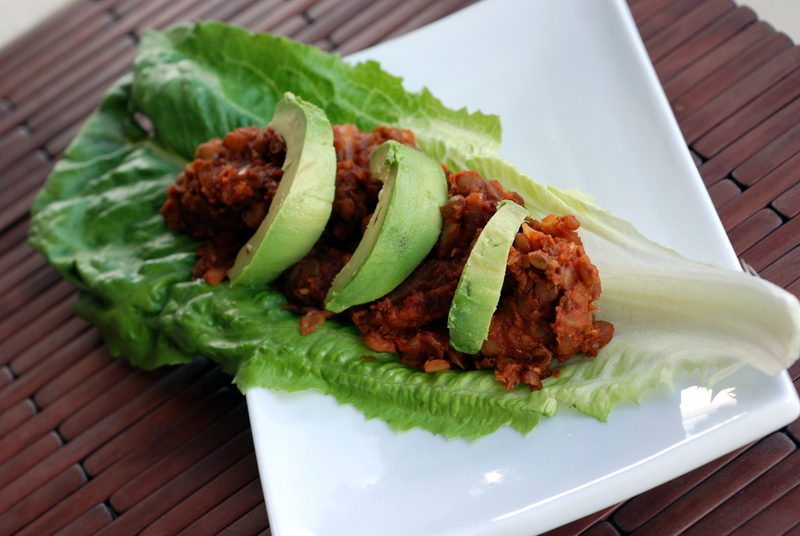 I continually find new recipes and new favourites. 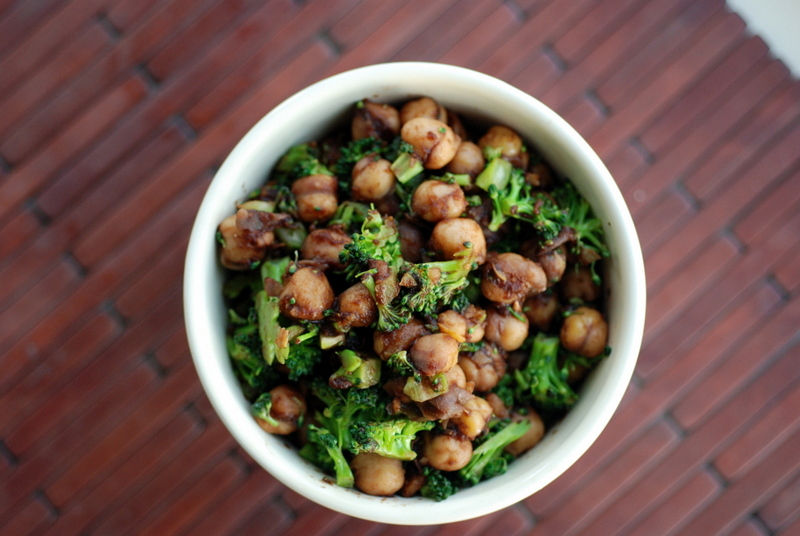 Case in point: this Indian-spiced Chickpeas and Kale. Not authentic Indian but authentically good. 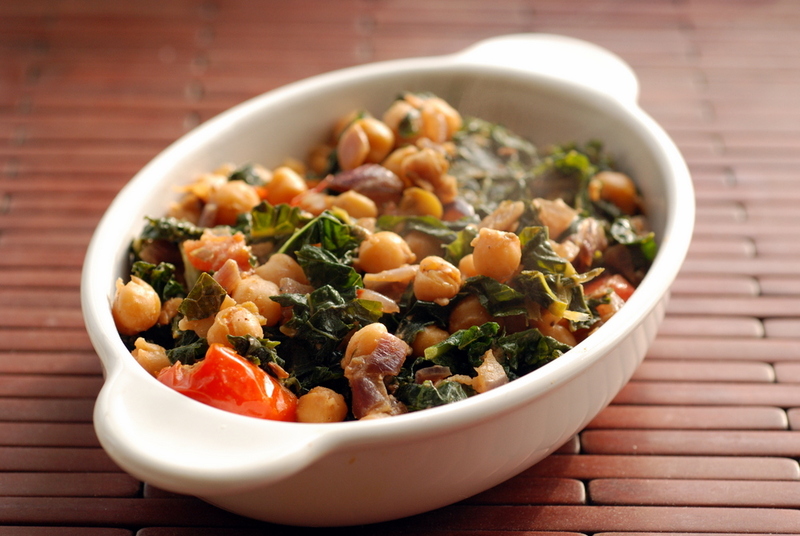 Cumin, cardamom and ginger augment garam masala to create a quick dish with chickpeas and kale. 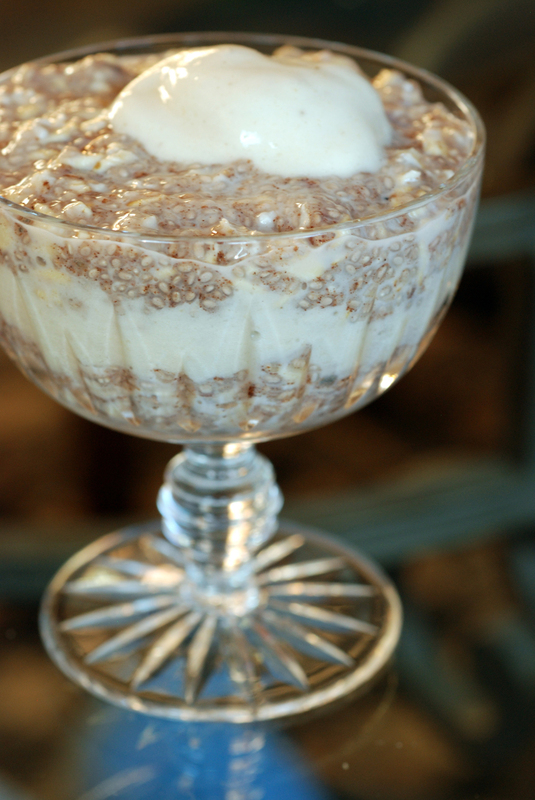 A touch of tahini adds a hit of creaminess that transcends its small amount. 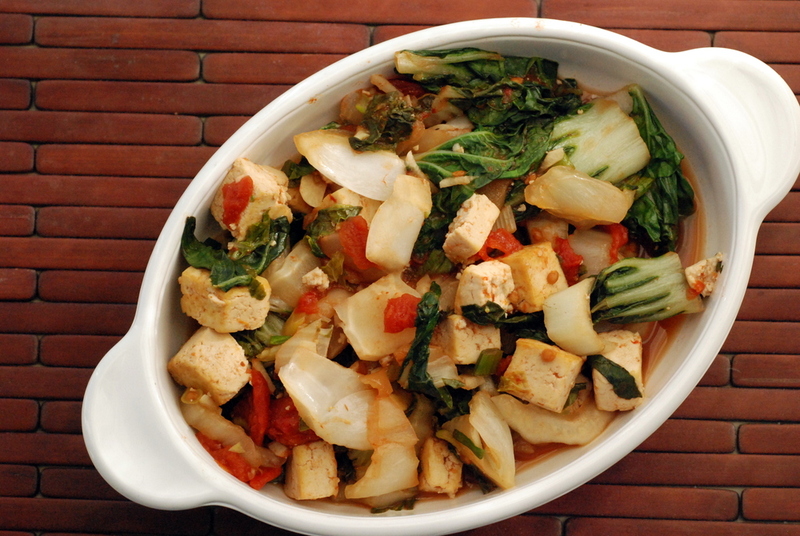 The greens are wilted in a stir fry but fully flavoured and juicy. 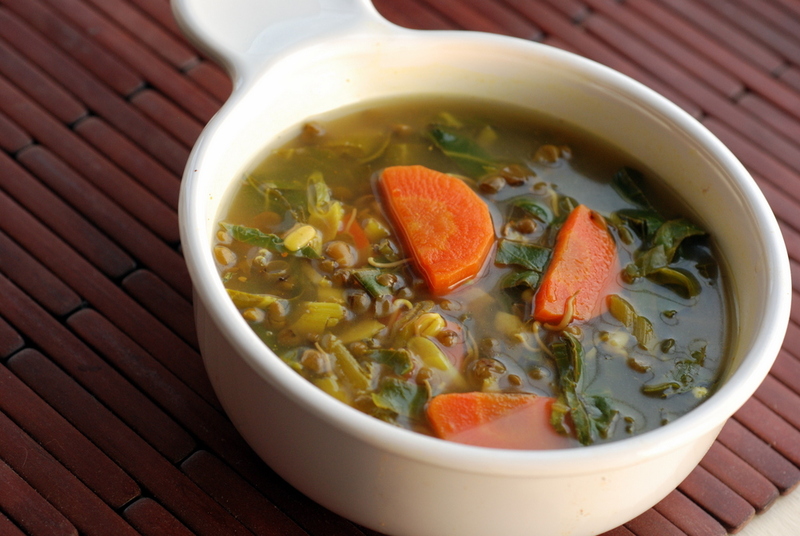 Paired with chickpeas, this makes a complete meal. 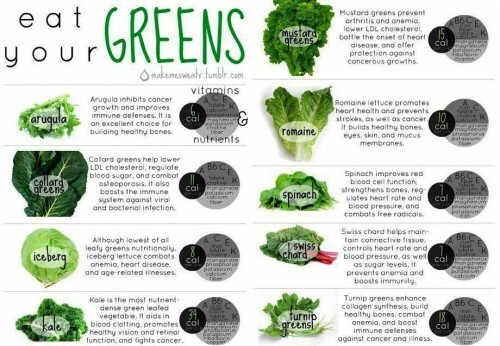 What is your favourite way to eat greens? This is my submission to to this week’s Weekend Wellness and to this week’s Weekend Herb Blogging, hosted by Brii. In truth, it was the success of the tikka masala that had me throwing bountiful fists of spinach into yet another red lentil dish. 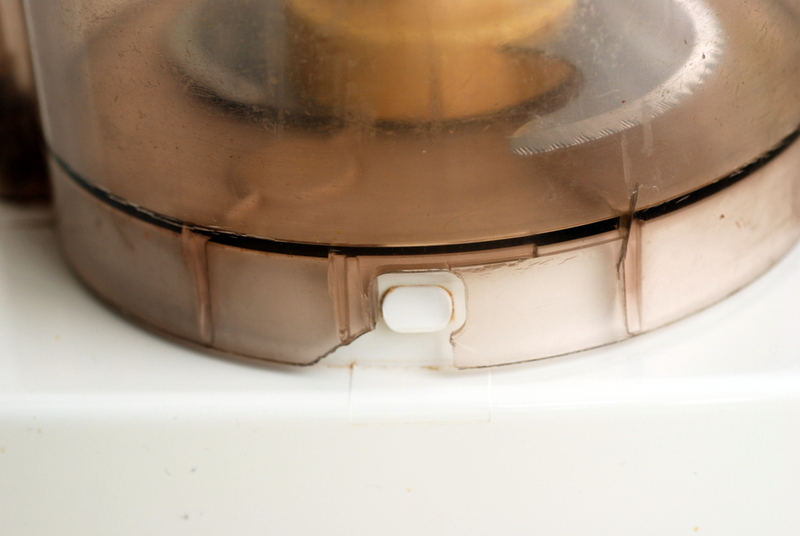 Do you use the tarka method for your cooking? Outside Indian foods? So Rob is gone and I am out to play! A few years ago, I read What We Eat When We Eat Alone by husband and wife team Deborah Madison and Patrick McFarlin. I was so fascinated by their stories that I wrote my own series about eating for 1. At the time, I had been living by myself for over 6 years (plus another 4 years I lived with roommates). I was fascinated by what people ate when not with their significant other. Truthfully, I don’t really modify my habits too much when Rob is away. I try to stay on track. The bad idea bears helped me reason out why I should buy 8 lbs of chickpeas for $5, spinach (3/$2), baby bok choy (79c/lb), lots of bananas (29c/lb), grapefruit (4/$1) among other things. I bought you some rolled oats, too. 🙂 oh, and some yogurt (it expires in April so you are still good post-SXSW). I know my Mom is shaking her head. I thought about it, too. I reasoned it out. Our chickpea stash was getting low!! I am on a chickpea phase! The other beans will not suffice! They are on sale! They will keep. I will eat them. I want my chickpeas! 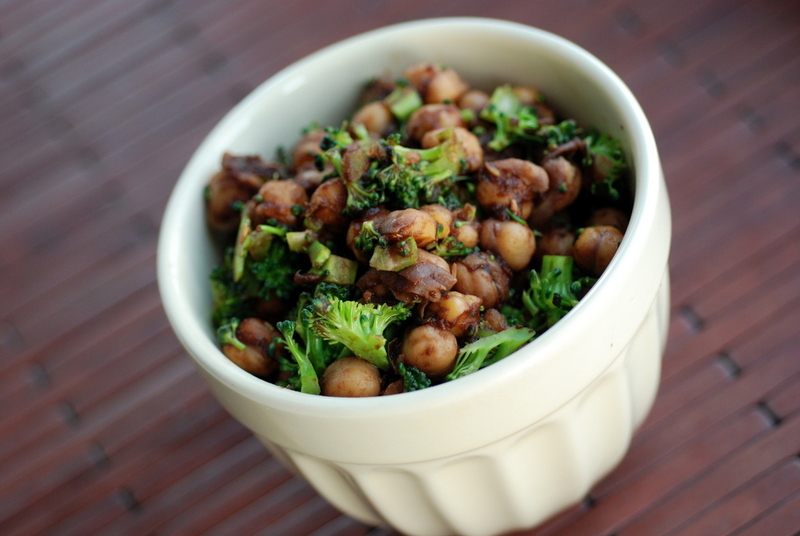 So now I have lots of chickpeas and lots of greens. Which is better than a case of beer, right? (Rob thought so, too). 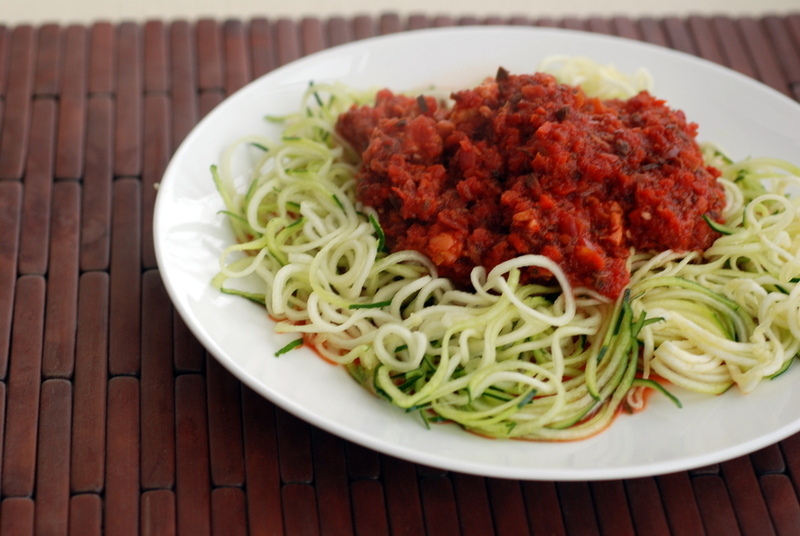 You may have noticed I am posting more and more simple recipes. This is possibly one of my easiest recipes (the broccoli was an afterthought, so the hardest part is chopping the broccoli). 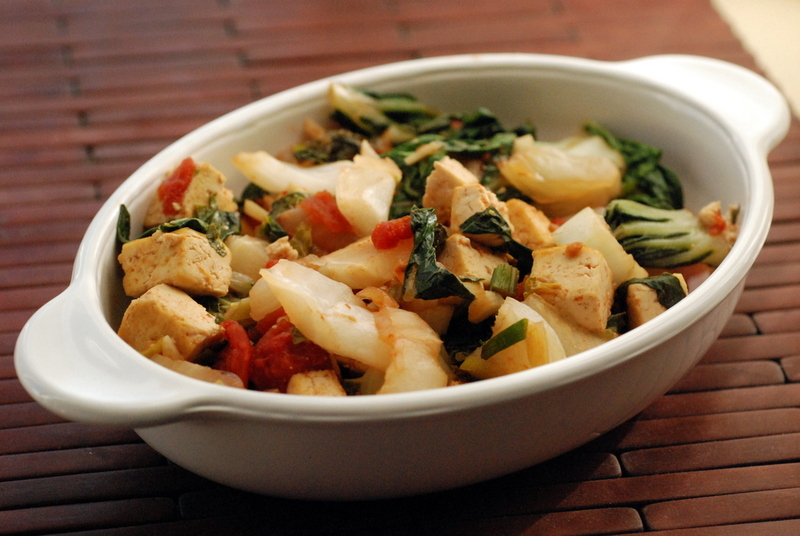 In a saucepan, put all your ingredients and make a balsamic reduction with a touch of tomato, garlic and lemon. 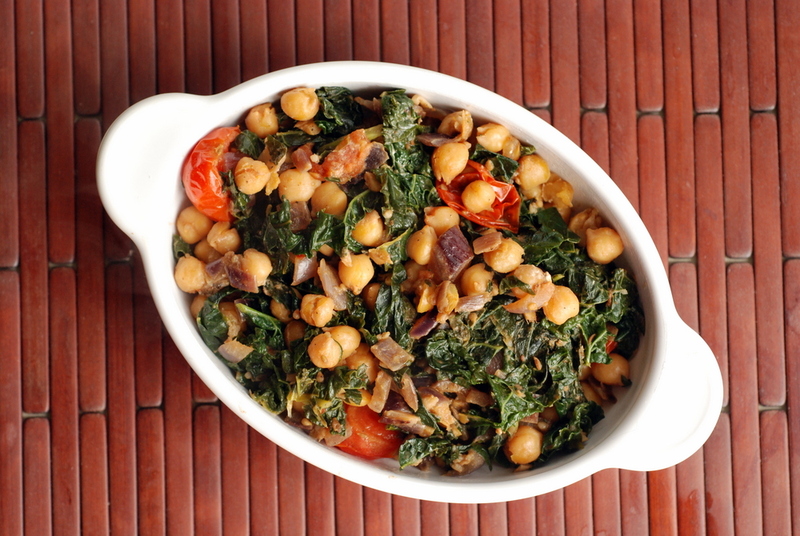 Within a few minutes, it glazes the chickpeas with a sweet-tart sauce. The original recipe called for ketchup, which I replaced with tomato paste and sweetener. The quality of your balsamic vinegar will dictate how tart it will become and how much sweetener to add. Taste as you go. 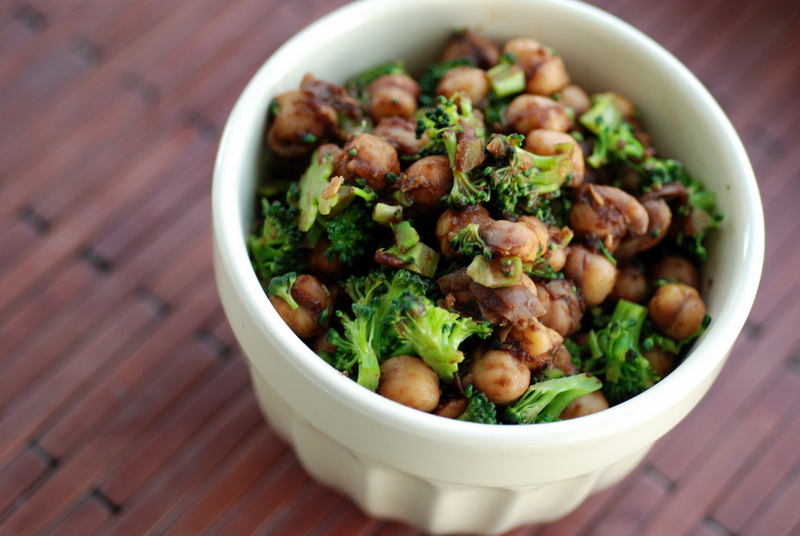 You could just make the chickpeas, but I found the broccoli to be a perfect match, sweet and crunchy, to balance the strong balsamic reduction. 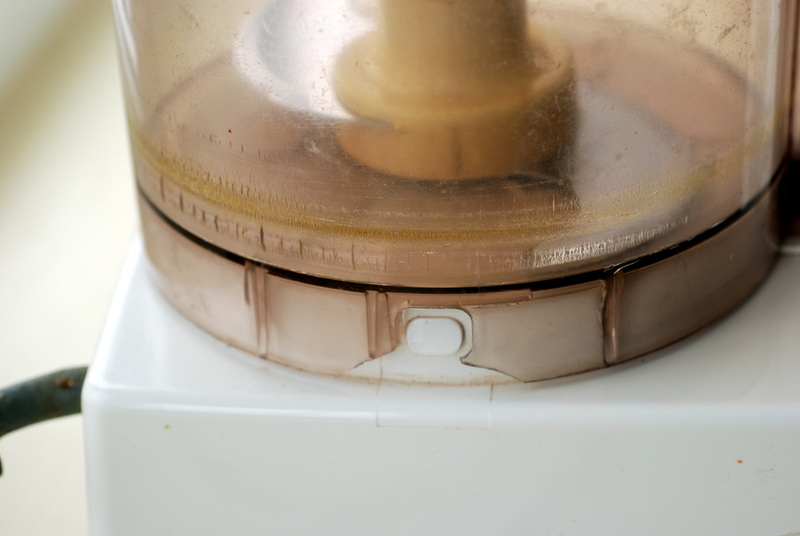 Next time, to make this even easier, I may just whip out my mosto cotto instead. 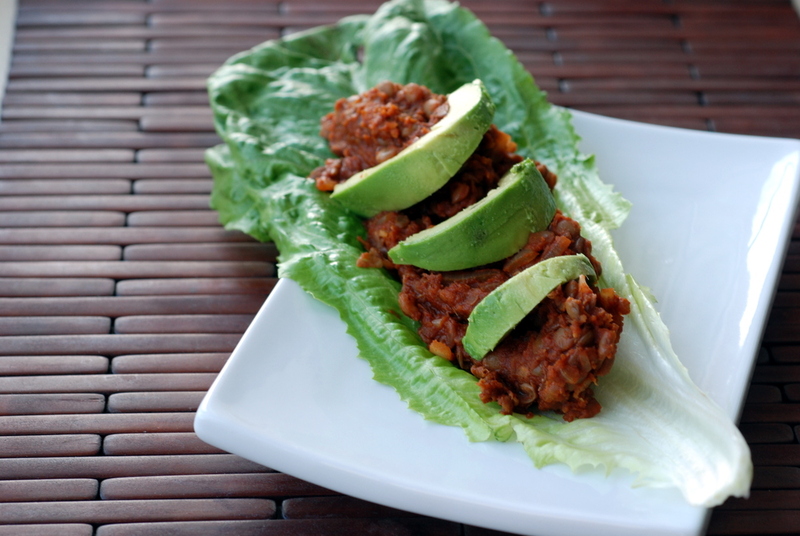 This is my submission to this week’s Weekend Wellness, this month’s My Legume Love Affair. Rob is gone this week. As I’ve shared before, Rob is the king of hot meals on the weekend. His specialties are tofu scramble, arepas and besan chilla. But this weekend, alone with some tofu and veggies, I pulled them all out for a hot lunch and made myself some scramble. 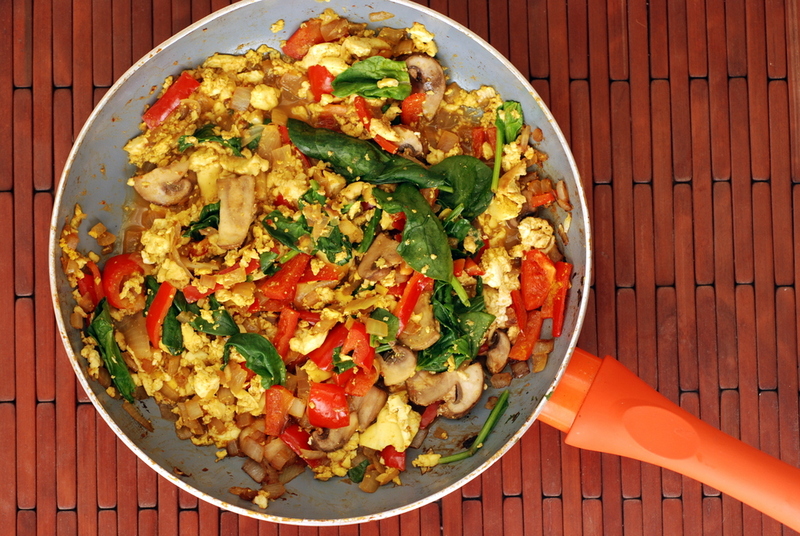 I’ve used soft tofu in a scramble before and now I prefer it to the extra-firm. Who wants a dry scramble? 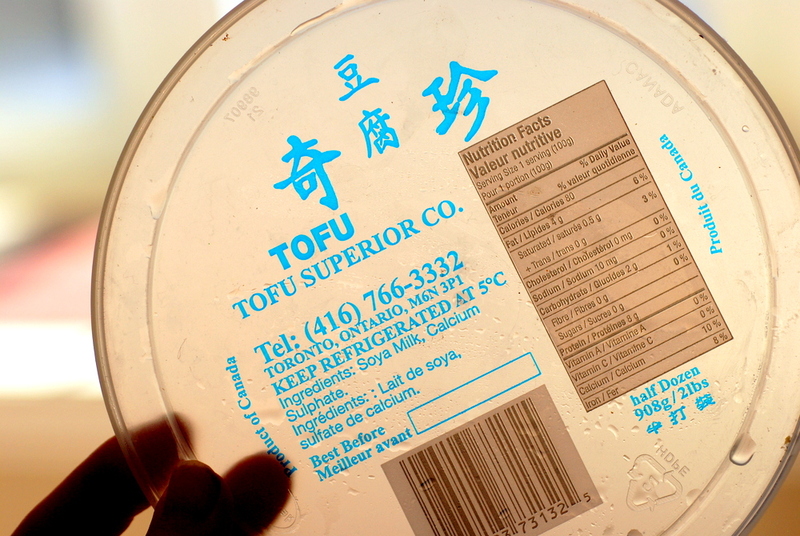 Who wants to wait for their tofu to be pressed? Not me! I want mine fluffy, flavourful and filled with veggies. 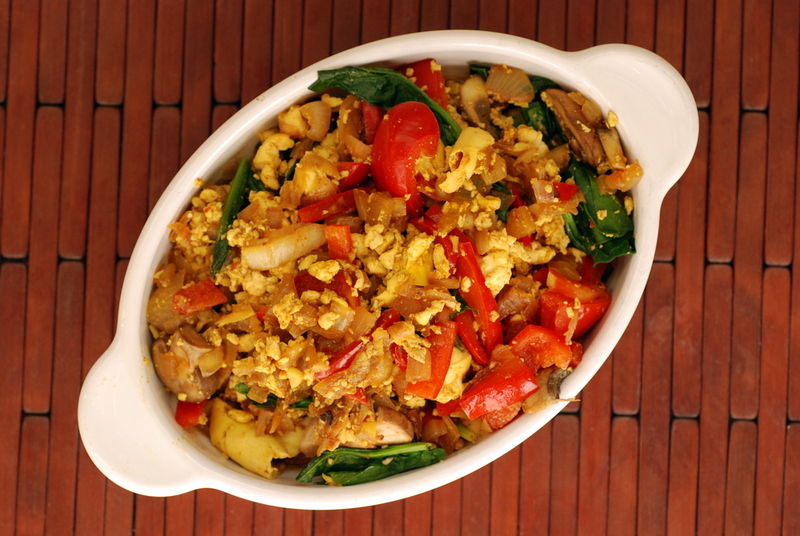 This scramble certainly fit the bill: spiced with cumin and curry powder, the assorted vegetables played a roll in the colourful plate. Since Rob was not here to make arepas as a side, I just ate the whole thing. Delicious! 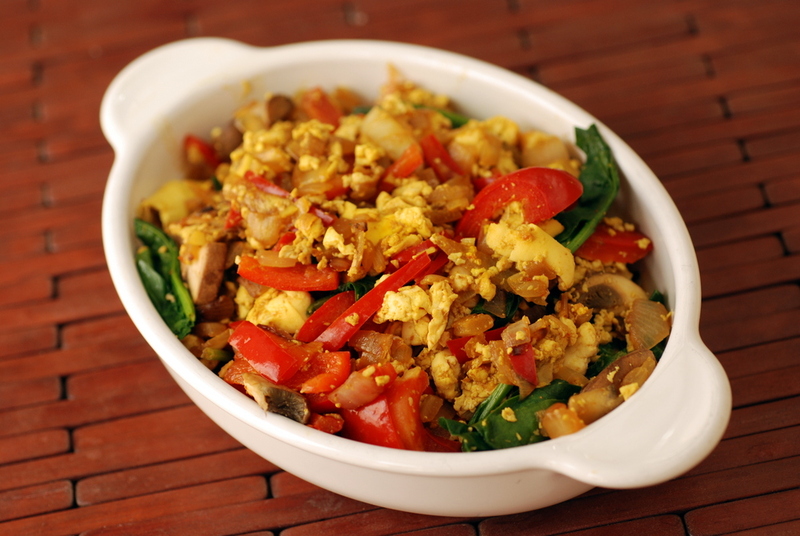 Long-term vegans are probably well-versed in their tofu scramble preferences. 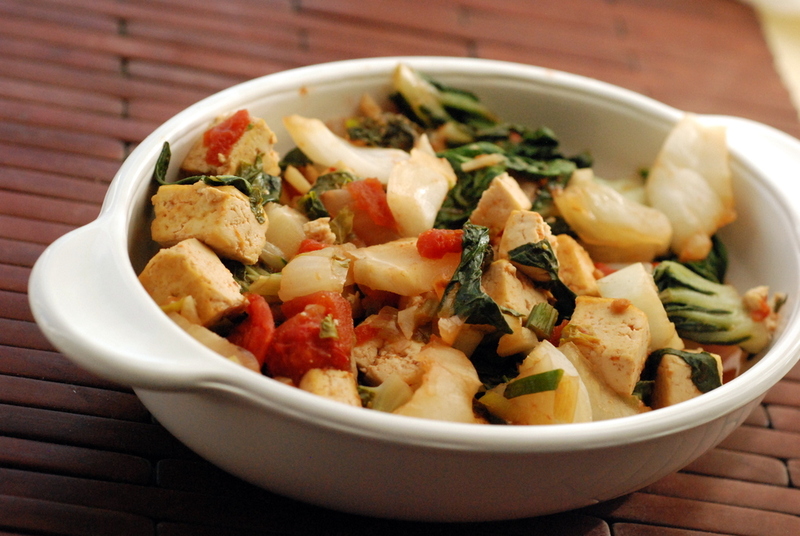 Do you like firm or soft tofu in your scramble? This is my submission to this month’s One Ingredient Challenge for chilies and Breakfast Club for local eats. If my weakness is beans and greens, Rob’s weakness is beer. I may hoard and admire my (completely edible) bean collection. Likewise, Rob drinks through his beer collection. I will admit that I know very little about beer, other than I have yet to meet a beer I like. Rob has given up on getting me to sample his beers. I am pretty confident that whatever makes a beer a beer (hops?) is what I don’t like, which cannot be masked by hints of chocolate or lime or whatnot. When we travelled to Quebec last summer, we made sure we stopped off at a beer store to stock up on beers that are not easily available in Toronto. We found a beer haven closeby, Veux-Tu Une Biere?, that had over 250 different microbrewed beers. Rob picked out beers that tasted like chocolate and raspberry, chocolate and espresso, espresso solo, coriander and orange, lime, pumpkin, juniper berries and orange peel, rye, scotch (yes, scotch beer), cognac (yes, cognac beer) and who knows what else. Without having to worry about customs, we returned with enough beer to last until our move to Houston. Rob let me pick him one to try. He has non-mainstream tastes. His favourite beer last year was a Double Chocolate Cranberry Stout. Let’s just say my father and brother didn’t appreciate it as much as him. So while at the beer store, I tried to get Rob to buy spruce beer. Turns out you can find that one in Toronto and one of our friends thought it tasted like a forest. A no go. I ended up picking one with a demon on the front. I have classy tastes. (It also said it won a beer award). Turns out my choice was a winner (except I can’t remember what it was). Too bad Rob only bought one. He bought two of the other beers. However, not all beers were as fabulous. Which is lucky for me, because normally Rob says his beers are too good for me to use in the kitchen. They say you shouldn’t cook with a wine you won’t drink, but this is what you do with beer you don’t like. Any beer will do because you cannot taste it. I cook with wine but don’t cook with beer because I am afraid of that “beer” taste lingering. I bookmarked this highly-praised recipe for beer-soaked fries but it wasn’t until Ellen tried it and reassured me: a) the fries were fantastic “Not sure what the beer does for the outside of the fries, but there is some marvelous alchemy going on…”, and b) you could not taste the beer, did we venture to try our hands at beer-soaked fries. 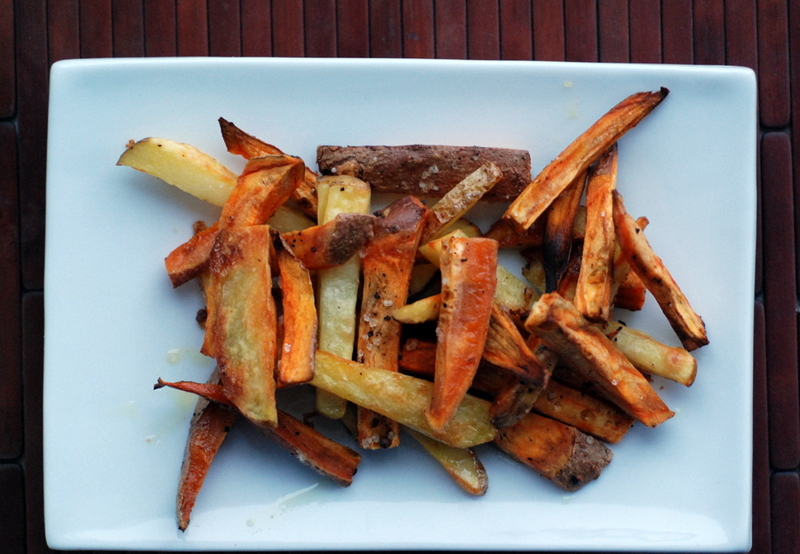 Rob picked out one of his not-so-fabulous beers (a lime pale lager) and whipped up these fabulous fries. I am not joking. 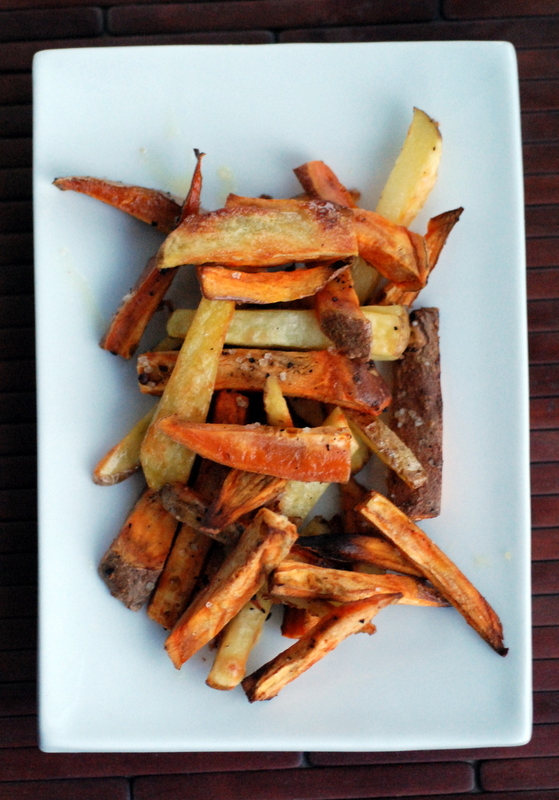 These were resto-quality, crispy (baked) fries. 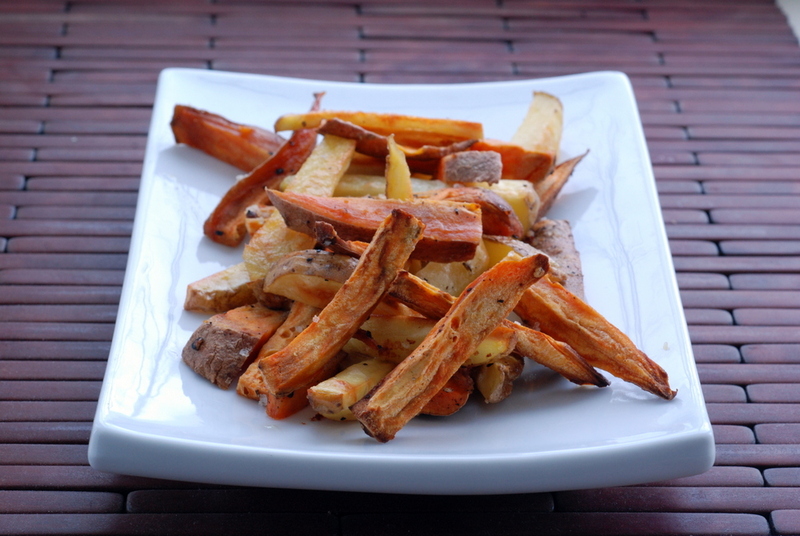 We used a mix of white and sweet potato but I was partial to the sweet potato fries. All you do is marinade the fries for 15 minutes in the beer, then toss with garlic, oil, salt and pepper, and wait a painful 30-45 minutes as they bake. Next time, I may throw other spices on it like I have done before. Apparently you can reheat the leftovers. I will admit, there was nothing left over. Demolished. All of it. Now to find more yucky beers. Do you cook or bake with beer? Or just drink it? 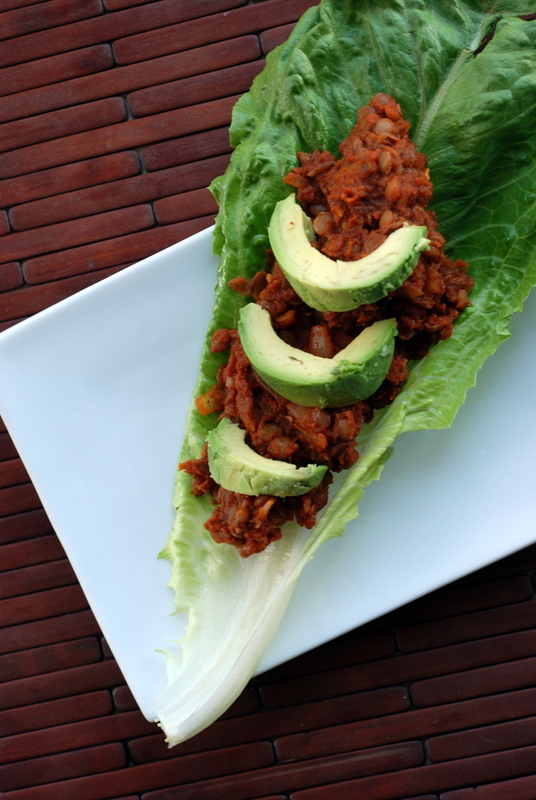 This is my submission and to this month’s Simple and in Season, this month’s No Food Waste Challenge for alcohol and to this month’s Bookmarked Recipes.